The True Wellness bundle is for people who are ready for a change in their health and wellness. With this collection you will be able to understand how to combine the best of Western and Eastern health care. Learn about Chinese medicine, and get started with simple tai chi movements and simple qigong movements. This collection is the easiest and our best way to take that first step toward True Wellness. A perfect gift for those you care about. 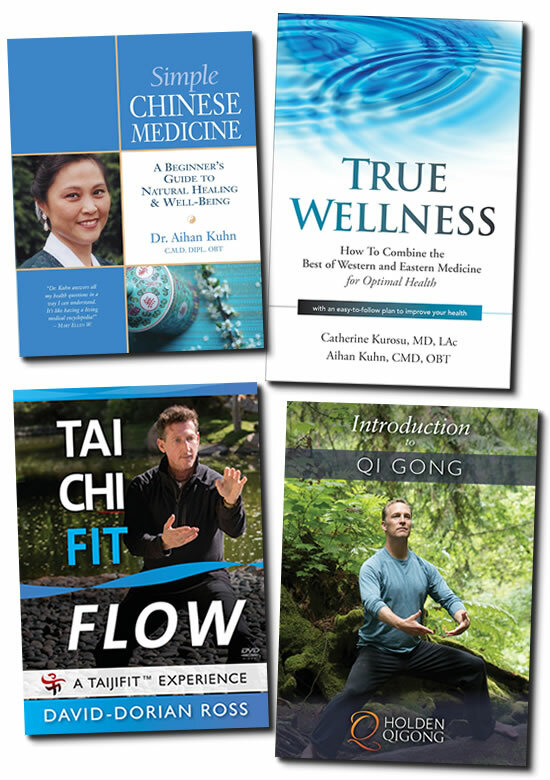 True Wellness is a step-by-step guide to optimal health, blending the best of Western and Eastern medical traditions. The authors have realized the conventional way of managing disease is unsustainable. They recognize that even as the high-tech accomplishments of Western medicine increase, the overall health of the nation continues to decline. In their own practices, however, they have discovered a path to optimal health, even in complicated Western health-care systems. The secret is combining the strengths of both Western and Eastern medicine to achieve the unique health goals of each patient. True Wellness encourages individual responsibility and prepares you to take the first step on your healing journey. By combining ancient wisdom, cutting-edge scientific discoveries, and practical advice, this book will lead you through a transformation to true well-being in body, mind, and spirit. Described as the art of effortless power, Qi Gong is easy to follow and effective for improving your health. Combining gentle stretching, energy-activating exercise, simple movements for strength, and flowing movements, Qi Gong gives a complete body/mind workout. Qi means energy. Every system in your body needs energy. Your nervous system and spine conduct a tremendous amount of energy communicating mind to body and body to mind. When the Qi in your body is blocked, the systems don’t run smoothly. This practice will help to insure that all parts of your body have a fresh supply of energy.